There's no getting away from the fact the 2018 Ford F-150 is America's favorite pickup truck, and America's favorite vehicle of any type when it comes to that, but there's plenty of other trucks sold that are always improving to try launch an assault on the F-150's crown. So here we're going to look at why the Ford is still way out ahead of the competition. 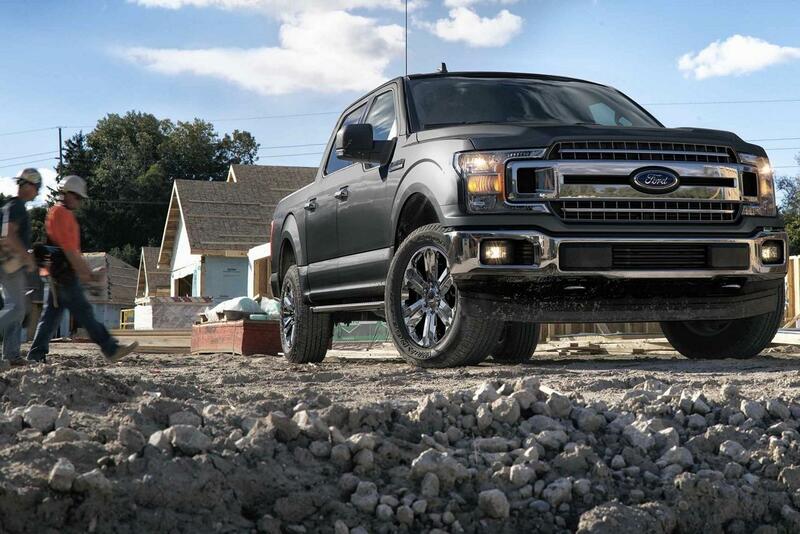 We all know diesel engines have been a big part of the success and popularity of heavy duty pickups like the F-Series Super Duty models, but it's only quite recently that demand has increased for diesels in light-duty models like the F-150. Ford might not have been the first manufacturer to drop a diesel into its light-duty offering, but the Ford F-150 diesel was definitely worth the wait. The 3.0-liter V-6 develops 250 horsepower and 440 lb.-ft. of torque, which is more than its main rival the Ram 1500 as its EcoDiesel falls a little short of that with 240 horsepower and 420 lb.-ft.
Leasing is becoming an increasingly popular way of funding any vehicle, and the Ford F-150 is no exception. Leases are priced in a different way to a regular finance deal, so the amount the vehicle is expected to depreciate over the time you have it is the major driving force behind the monthly payment. Because the F-150 is such a popular and sought-after truck, the residual values are pretty strong and that can mean a Ford F-150 lease can be extremely affordable. It's true that some rivals such as the Chevy Silverado 1500 and the Ram 1500 come pretty close to the Ford F-150 towing capacity, but they all fall short. The very least an F-150 is rated to tow is an impressive 5,000 pounds, which beats the majority of SUVs. But at the other end of the scale, and the one that really matters, the F-150 has a best-in-class maximum towing capacity of 13,200 pounds. 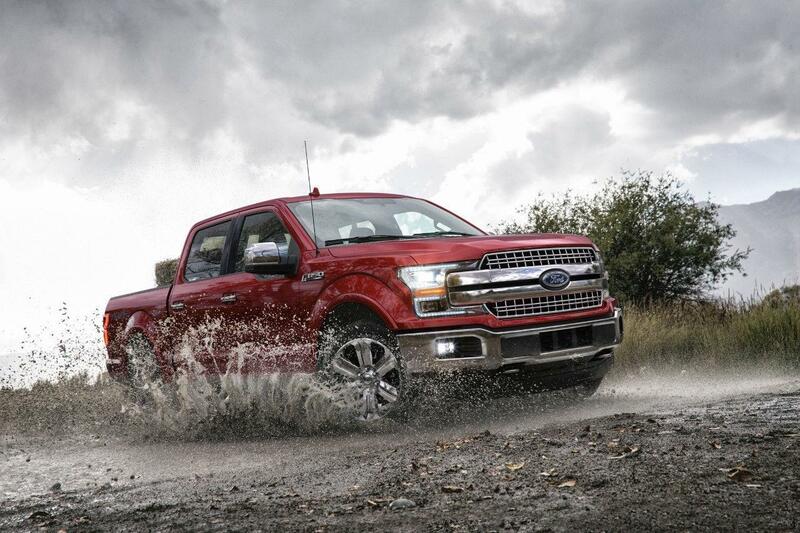 When it comes to 2018 F-150 mpg, the 2.7-liter EcoBoost V-6 is the most fuel-efficient engine in the F-150 lineup. This engine in two-wheel drive form offers fuel economy ratings of 20 mpg in the city, 26 mpg on the highway and 22 mpg combined. However, the new diesel engine is even better with ratings as good as 22 mpg in the city, 30 mpg on the highway and 25 mpg combined*. Until GM introduces a diesel for the Silverado and Sierra 1500s next year they can’t compete with those numbers, and Ram 1500 diesel already fall short of the Ford with ratings of 20/27/23 mpg. One indicator that really shows which truck is best is the Motor Trend 2018 Truck of the Year award, and that accolade has gone to the all-conquering Ford F-150. It's the award that every manufacturer wants, perhaps apart from being named best-selling truck of the year which the Ford also gets every year, and the F-150 has it right now. To discover more about why the F-150 is still America's favorite after all this time and to check one out for yourself, don’t hesitate to get in touch with us today here at Southern California Ford Dealers.